Hillary Clinton has cited her personal emails as being a significant reason for her downfall in the 2016 presidential election. In an interview with ‘CBS Sunday Morning,’ she told host Jane Pauley, “Oh I think the most important of the mistakes I made was using personal email." 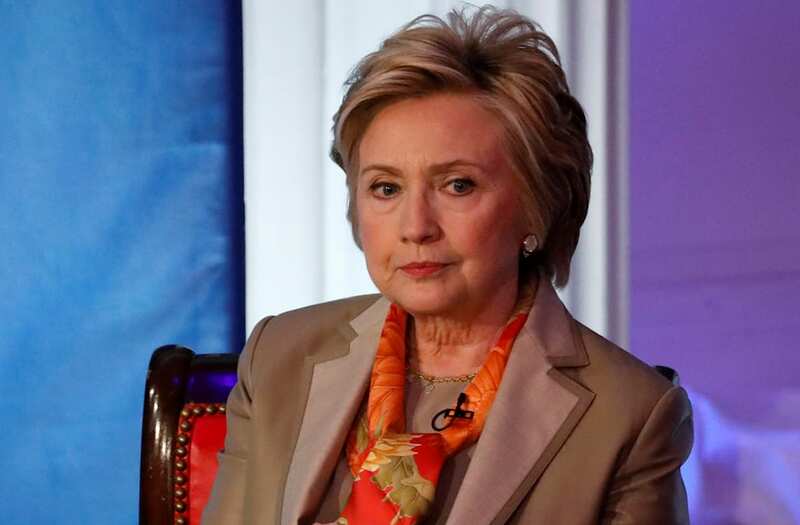 Clinton also noted that then-FBI Director James Comey’s late October announcement that another potential trove of unsecured messages had surfaced, “just stopped" her momentum. A supporter of Democratic presidential nominee Hillary Clinton watches and waits at her election night rally in New York, U.S., November 8, 2016. Musician Lagy Gaga sits in her car after staging a protest against Republican presidential nominee Donald Trump outside Trump Tower in New York City after midnight on election day November 9, 2016. Donald Trump stunned America and the world, riding a wave of populist resentment to defeat Hillary Clinton in the race to become the 45th president of the United States. The Republican mogul defeated his Democratic rival, plunging global markets into turmoil and casting the long-standing global political order, which hinges on Washington's leadership, into doubt. A supporter uses his smartphone as others leave Democratic U.S. presidential nominee Hillary Clinton's election night rally in New York, U.S., November 9, 2016. A person talks on the phone at Democratic presidential nominee former Secretary of State Hillary Clinton's election night event at the Jacob K. Javits Convention Center November 9, 2016 in New York City. Clinton is running against Republican nominee, Donald J. Trump to be the 45th President of the United States. At attendee reacts while kneeling on the floor during an election night party for 2016 Democratic Presidential Candidate Hillary Clinton at the Javits Center in New York, U.S., on Wednesday, Nov. 9, 2016. An attendee reacts while sitting on the floor during an election night party for 2016 Democratic Presidential Candidate Hillary Clinton at the Javits Center in New York, U.S., on Tuesday, Nov. 8, 2016. “Looking back that was a mistake," Clinton says. The issue of her emails has proven to be enduring one.